The satellite HY-1C will monitor ocean color and water temperatures, providing basic data for research on the global oceanic environment, according to the State Administration of Science, Technology and Industry for National Defense. China launched its first marine satellite, HY-1A, on May 15, 2002, laying the foundation for a ocean monitoring system. Then the HY-1B satellite was launched on April 11, 2007. HY-1C and HY-1D, which is planned to be launched in 2019, are expected to improve China's ocean remote sensing capability. 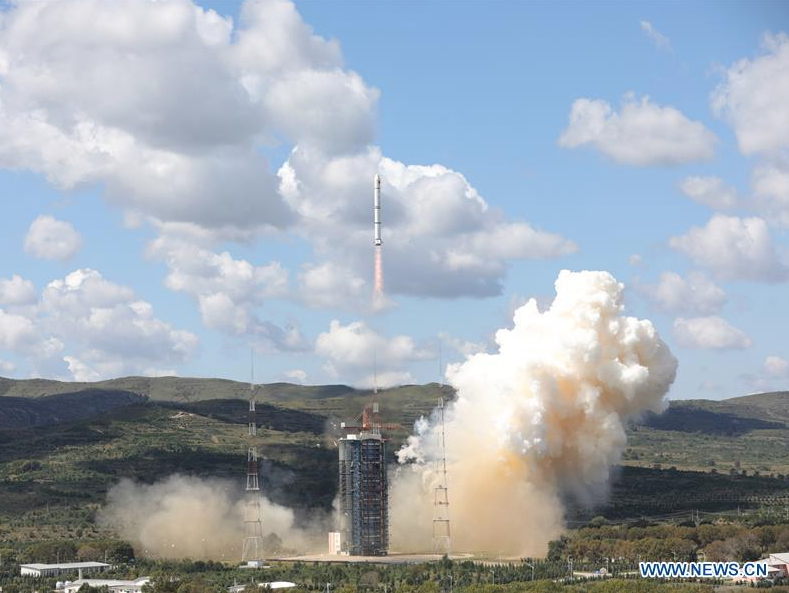 HY-1C can detect chlorophyll and suspended sediment concentrations and dissolved organic matter, which can affect ocean color, as well as temperatures on the sea surface, said Wang Lili, chief designer of the satellite. Scientists will also use the data to study global environmental changes, the role of the oceans in the global carbon cycle and the El-Nino phenomenon. The satellite carries an imager to probe suspended sediment in estuaries and harbors in coastal zones, and to forecast and monitor marine environmental disasters, said Wang. It is equipped with an automatic identification and monitoring system for ships, which will help safeguard maritime rights and interests, and provide data for disaster prevention and mitigation and fishery production, Wang said. The satellite will save time, manpower and materials in conducting integrated marine surveys, compared with traditional investigation methods on ships. It could improve China's ability to predict, monitor and evaluate maritime risks such as storm surges, red tides, sea ice and huge waves, and help save lives and property. It can also rapidly get information about the fishery environment and make the oceanic fishery industry more efficient. The successful launch will help end the long-term shortage of continuous data on ocean color, and promote research on global ocean circulation and changes in the sea surface. Friday's launch was the 284th by the Long March rocket series.